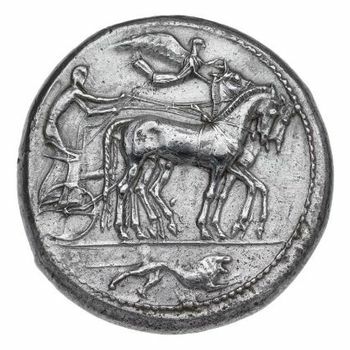 The Muesum of Fine Arts (MFA) in Boston has a phenomonal collection of ancient coins, probably one of the top 3 collections in a public institution in the US. 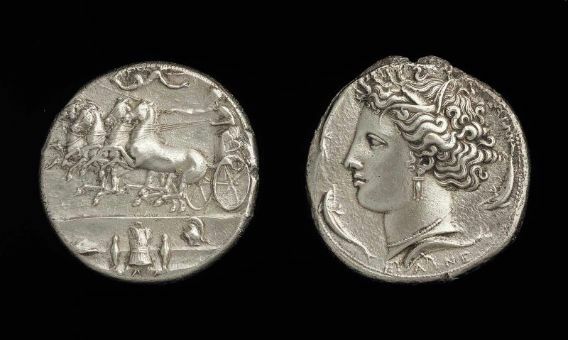 Until a week ago it suffered from an absolutely horrible display, 2 small cases in a dark side of one of the ancient Greek galleries, ill labeled and with no way of seeing the reverse of coins, unless they happened to own two of the same coin, and decided to show both. 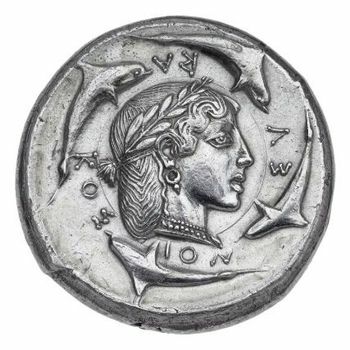 This was particularly galling for such coins as this Dekadrachm of Syracuse, called the Demareteion (thought to have been minted a bit after 480 BCE), which are the finest specimens of their type. This sorry state of affairs has finally been rectified with the opening of the Michael C. Ruettgers Gallery for Ancient Coins on September 25, 2012. Along with the donation, which must have been pretty hefty, to create the gallery, Mr. Ruettgers donated 14 rare ancient Roman gold pieces, including Aureus with the bust of Aelius Verus from 137 CE (below). The new gallery will initially be displaying about 500 coins from the museum's collection of about 7500. Just because, here's a second Syracusian Dekadrachm from their collection, this one about 60 years later then the Demareteion, about 415 BCE, and signed by the engraver Euainetos. This page contains a single entry by Aaron Macks published on September 30, 2012 9:49 PM. Arnold & Son DBS was the previous entry in this blog. Kickstarting a Watch Company is the next entry in this blog.